A new and very impressive film process is shown in Europe for the first time to visitors of the Photokina exhibition in Cologne in 1956. It takes the audience away from its role as passive onlookers, giving it a real sense of participating in the action on the screen. The process, developed by the American Optical Company (AO) on the basis of an idea by Michael Todd, is to be implemented by several West German cinemas at the start of the following year. Probably the most impressive of all cinema projections, it will by no means replace the previous film processes, but rather remain reserved for a few cinemas in the larger cities. The sweeping scenic effect of the Todd-AO process is achieved by means of a deeply curved screen of great width and height. 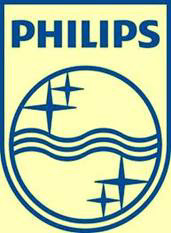 The screen dimensions at the Philips Lichtspiel-Theater at Photokina are restricted by the available room space to 16 metres in width and 7.20 metres in height. The six-track sound effectively enhances the illusion of direct audience participation. The Todd-AO process largely transcends the former divide between the stage and audience in this way. Using the Todd-AO process, the film is shot on wide-film at a wide-angle of 128 degrees. 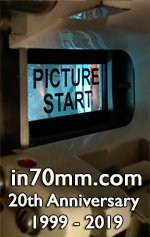 With the six magnetic soundtracks, the film measures 70mm. The individual cinematic image is approximately 3 ¼-times larger than that of a normal film. The universal film projector developed by Philips not only supports the Todd-AO process, but is also suitable for projecting film formats of all sizes up to 35mm, with magnetic or optical sound track. Films shot using the Todd-AO process have a frame rate of 30 frames per second, as opposed to 24 frames per second with normal film. This results in significantly improved brightness and helps to prevent flickering images. At Photokina, Philips will be showing an instructive short film, "The Miracle of Todd-AO", as well as clips from "Oklahoma!". It is the first feature-length Todd-AO film, currently premiering at around 30 American cinemas. A second Todd-AO film will be shown in October of this year at the Rivoli Theatre in New York. Michael Todd based the film script for this on Jules Verne's science fiction novel, "Around the World in Eighty Days", a book which is just as widely read in Germany. Work has also commenced on a third film bearing the title "South Pacific”. Contracts for a Todd-AO facility have recently been concluded with cinemas in Hamburg and Munich. 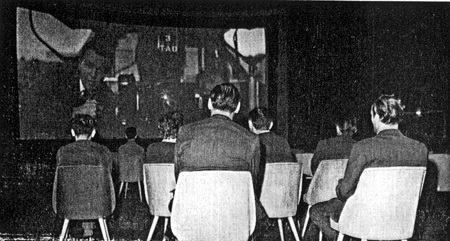 Negotiations are currently underway with other West German city cinemas.